In this country, and at every state level, we have three branches of government: The executive, the legislative, and the judicial. These three branches are supposed to keep one another in check. There are mechanisms put in place to try to make sure that happens. We call these “checks and balances,” and it’s a big chunk of why our republic has survived as long as it has. Now, you probably already know all this. You learned it in high school government class, if not before then. Want to know who didn’t learn it? 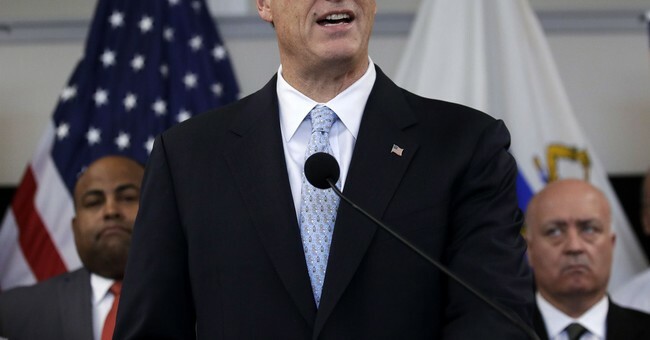 Massachusetts Governor Charlie Baker. Governor Charlie Baker on Monday defended his administration’s role in a legal battle over firearm licenses, arguing the state was required to tell local police chiefs that hundreds of people should have their permits revoked at the urging of federal officials. The issue has drawn new attention since the Globe reported that the state was resisting orders from judges who charged that officials had overstepped their legal authority by urging local officials to pull the gun licenses of roughly 340 people, some of whom were convicted of misdemeanors decades ago. Despite the court orders, the administration has refused to reinstate the licenses, potentially exposing the state to litigation. Baker argues that he’s following instructions from the Bureau of Alcohol, Tobacco, Firearms and Explosives (ATF), which supposedly informed him that the state had been doing it wrong. But courts have repeatedly rebuffed the state’s arguments. Last week, judges in Gloucester and Taunton joined their counterparts in five other district courts in ordering that a gun license be reinstated. In one case, a Seekonk man had been disqualified because he pleaded guilty in 1983 to receiving stolen property under $100. Gerald Arata successfully petitioned to the licensing board to have his right to a license restored in 2013, only to have the permit revoked by Seekonk police after the state’s directive in May. It would be different if we were talking about an assault charge that turned out to be a domestic violence incident or something. Federal law explicitly includes those misdemeanors as being among the charges making someone ineligible to purchase a firearm. But a misdemeanor charge of receiving stolen goods? Especially a 35-year-old charge? I’m sorry, but I seriously doubt the ATF instructed him to do any such thing. If so, an ATF official is spreading a pile of male bovine excrement in Massachusetts, enough to fertilize the entire blasted state. Then again, it’s also possible that Baker is just covering his rear. We know he’s no friend to gun owners anyway and that he’s not a fan of concealed carry, so it’s entirely possible that he took what the ATF said, interpreted it in a way that would let him do what he wants to justify giving the courts the middle finger. The problem, however, is that there’s no real recourse for a governor who ignores the court in his state. Good faith and a belief in our system of government is generally enough, but when a high elected official opts to ignore the courts, what options do the courts have? Not much of anything, to be honest. And in Massachusetts, that’s a problem right now.